The latest edition of MM Discos comes from top shelf DJ and Modern Obscure boss Pedro Vian, a Barcelona head who wants you to dance differently. On the A-side, "Colours Of Infinity" is a melancholic affair, all emotive pads, sophisticated melodies and introspective textures, twisted wonderfully into a shuffling serving of deep house. In its original form, the synthpop inspired "El Sueno Lucido" employs a hefty 80s snare and heartbreaking sequences to convey the bittersweet beauty of a fading fling, while Massimiliano Pagliara transforms the cut into a poppers anthem via pumping Italo bass and additional synthwork. 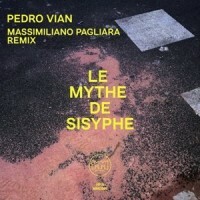 Patrick says: Barcelona's Pedro Vian offers something fresh on his MMDiscos debut, offering a textured take on sad house backed with a wave-tinged end of the season affair, which gets a mega Italo flip from Massimiliano Pagliara.